The famous Travis Haley takes some time to speak about airsoft’s capabilities as a training tool for live firearms. Travis Haley is a veteran Force Reconnaissance Marine with 15 years in field. 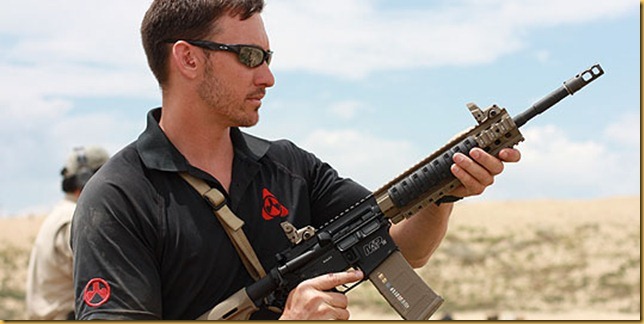 He then served as a security contractor before joining Magpul & their training divison, Magpul Dynamics. Travis Haley is a leader in strategic and tactical shooting, and is a perfect example of a pioneer in shooting techniques. Convenience – Airsoft guns are a safe way to train from inside a garage or out in a backyard or if you do not have enough time to visit a range. Cost – The cost of firing a live firearm builds very quickly. Between range fees, ammunition cost, and gas to get out to a range, you can expect to spend a pretty penny for training with your weapon. However, the cost of an airsoft gun and ammunition is much less than that of its real steel counterpart. Authenticity: Airsoft attempts to replicate the weight and feel of the real gun as close as it can. It is very possible for a shooter to replicate their current set up with their airsoft replica counterparts, and it will feel and handle very similarly to your live set up. Safety: Airsoft is a great way to practice mechanical weapon safety habits. As long as you treat your airsoft gun as a real firearm, you will develop very strong safety practices when out on the field with an actual live unit. Fundamentals: The airsoft gun will feel very real in your hands and will help develop your muscle development when firing a weapon and transitioning between targets. Realistic, high quality airsoft guns will also replicate the same functions on a real firearm to facilitate realistic reloading. Travis Haley recognizes the aspects of airsoft that cannot fully replicate firearms, but he acknowledges that there is still a very real and very solid training tool to be found. As long as you treat the airsoft gun as realistically as you would a real firearm, then you are on the right track and mindset to properly learn from one. One of the main keys that Travis Haley focuses on in his video is the authenticity of your airsoft gun. Specifically, does your airsoft gun handle as close to the real thing as it could? Although Airsoft GI doesn’t offer the Tokyo Marui Recoil System AEG’s, as featured in his video, we do have the Magpul PTS RM4 Scout Electric Recoil AEG by KWA set on preorder. This model features the same sort of realism featured in the TM Recoil System guns, and will work great as an adaptive training tool. Train hard, but most of all, train safe. Well,if you are talking about the realism,why do not presen some of the GBB (gas blow back) airsoft rifle?It is much more realistic than AEG (automatic electric gun).Do not you think so guys? Gas Blow Back Rifles are definitely some of the most realistic airsoft guns out there. However, this article was just address some of the points that Travis Haley pointed out, and the airsoft gun he happened to use in his video was an AEG. Since he used an AEG in his video, we decided to write the article about AEG’s. Gas Blow Back Rifles also have one major issue that make them difficult to train with: The Magazines. Gas magazines are very prone to damage if not handled with the most amount of care, and to practice speed reload would require you to drop them (possible from shoulder height) onto the floor, which would not be a wise idea with compressed gas inside of it. Also, each and every magazine you own would require a good amount of regular maintenance or else they won’t function in the gun. With gas magazines, there are two failure points: BB loading, and the gas container itself. With AEG magazines, there is only one. I don’t disagree however that gas rifles are some of the most realistic available, but they’re not always the best choice when training. You have to choose a platform that works best for your needs, and Travis Haley found the Recoil System AEG the best choice for him. Yes,you are actualy right.I did trained with real steel (AMD 65/5,AK 63D.PKMSZ,PA 63,Parabellum so far…), and to be honest never owned a GBB rifle.I have AEG and play airsoft with it, (G&G F2000) and I had a few…but in the UK where I live now,have no chance to use a real steel unfortunetaly,so I just have the fun of milsim games. 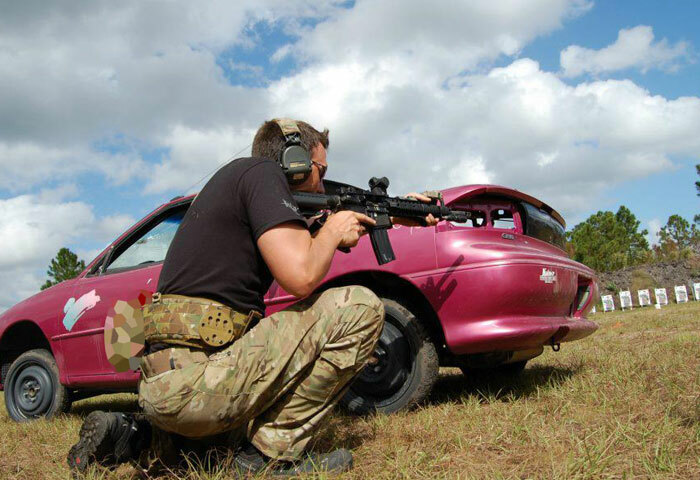 Airsoft GI – Polar Star GI Customs!